We only communicated online. We picked our room online, paid by credit card, received access codes for building and room via email. It really worked perfectly. Everything was exactly as stated on website. We really enjoyed being so close, as in walkable, to shops and restaurants. We also enjoyed being a close drive to Monticello, which was one reason we were visiting Charlottesville. Over all we got what we were looking for in a clean bed and bath in a very convenient location! Both people I spoke to before booking the room were incredibly responsive, friendly, and helpful. The bed was amazingly comfortable. The TV was top notch. We loved the space and set up of the room in general. Its location over the Mudhouse on the downtown hall was exactly what we were looking for - we walked to the ACAC gym, dinner, for coffee, etc. Parking was incredibly easy too. The cleaning service came at a great time each day (approximately mid afternoon). Overall, a great stay for the price point. Beautiful place, awesome house. We will definitely go back. Everything was wonderful dealing with the Stay Charlottesville team! They were very efficient and responded quickly when I had a question. Downtown Belle was beautifully remodeled and comfortable! It was perfect for two couples! We loved the walkability of the property to both downtown areas and found some wonderful restaurants in the Belmont downtown area. Every October we take a trip together and this was by far the cleanest and most accommodating rental we've ever had and the price reflects that (keeping lesser atrentive renters away). Our only issue was the mirror in the master bath was mounted extremely low. Tallish people (such as us) had to stoop to use it. Also, we needed some additional kitchen tools. Everyone was responsive Yay for kate! The property is beautiful. The yard and house. Carriage house is a bonus. Love the modern feel in rustic country. Enjoyed being on the mall. There were many good restaurants close by. Very quiet on the street. The room was very nicely decorated and looked new. Very well cared for. Daily room service was good. Our stay was nothing short of PERFECT! The attention to even the smallest detail was remarkable. We hated to leave and would go back in a heartbeat! The recommendations for eateries were all spot on. I did this one all online, but my prior experience with your staff has been top notch. This is our second time staying at the Downtown Belle. We love the proximity to the restaurants in Belmont, which means no one has to drive to dinner. The location is great for walking and exploring the downtown areas around Court Square and Park Street. Very comfortable for three couples, as long as two of them are willing to share a bath. wonderful staff, very accommodating and responsive. Your team was wonderful and very accommodating. 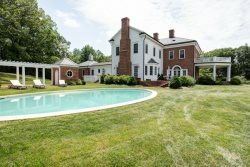 This property was a wonderful place for my daughter and her bridesmaids to prepare for her wedding. The rooms are spacious and inviting with plenty of room to spread out. The lovely decor was a great backdrop for photos. The team does a good job. The convenience is great but there's some noise on the Downtown Mall. Everything was great. Beautiful home.